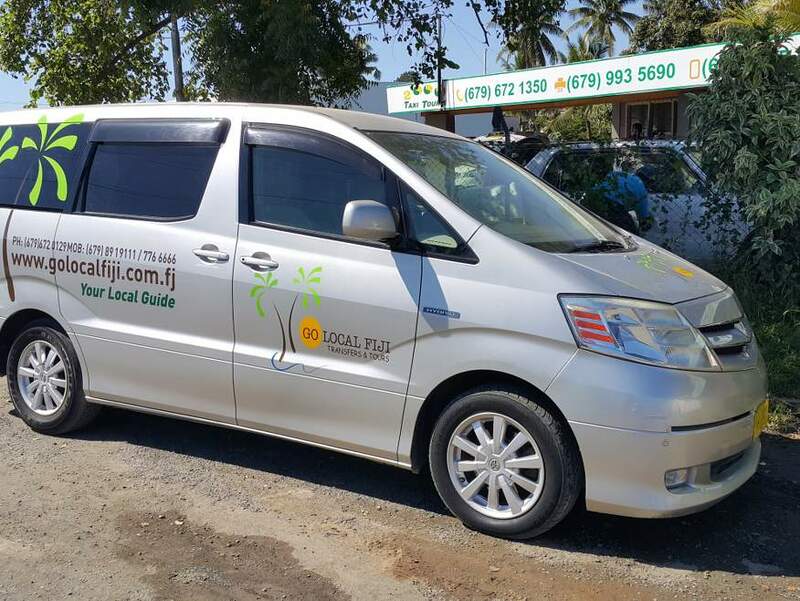 Your stay begins with a pickup from all major Nadi, Denarau, and Coral Coast locations, and a drive to the jetty in Navisabasaba. 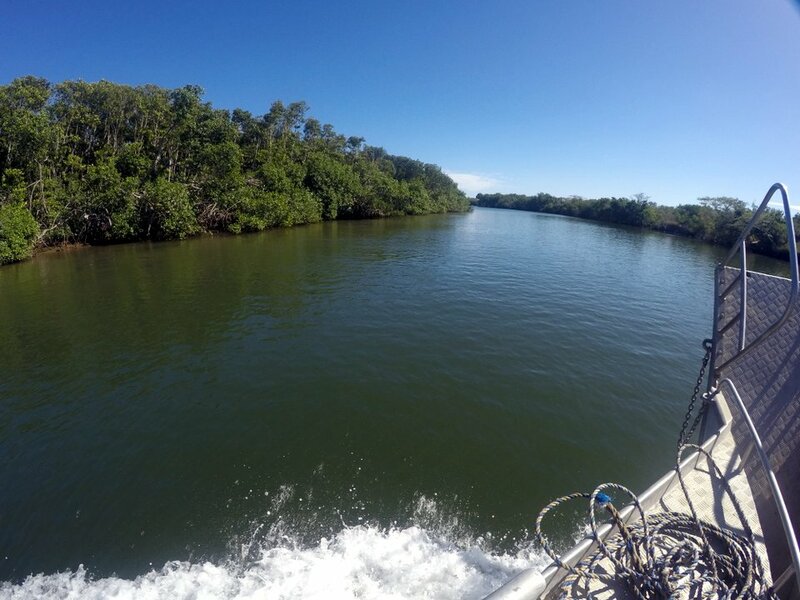 A 30 minute boat trip down the Tuva river, followed by 10 minutes across the lagoon, will see you arriving in 28 acres of tropical paradise: Robinson Crusoe Island. The island doesn't have it's own water supply so its either shipped in from the mainland or collected by rain tank. Sea water is used for public toilets which makes them look unclean. Dorm showers and toilets are pretty dated and could do with an upgrade. Bures are nice. 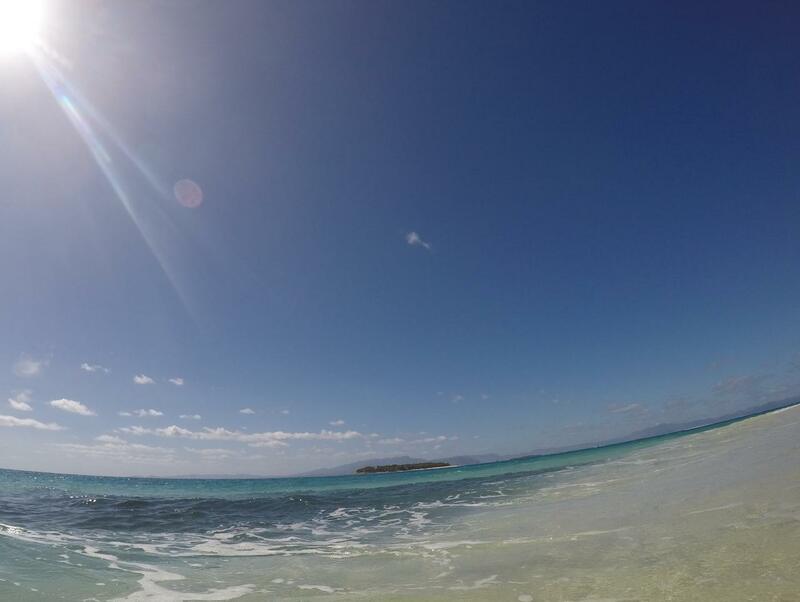 You can choose to stay on the island (different levels of accommodation are available) or take a day trip. As you are on an island, it's a little difficult to just "pop over" to the mainland to go to the bank, restaurant, supermarket etc. So you might want to consider this before you arrive; bring the things you need. For example, grab a small torch as the generator goes off at midnight. Insect repellent is a good idea (although mosquito's don't seem to be a problem here), as well as spare batteries for your camera. 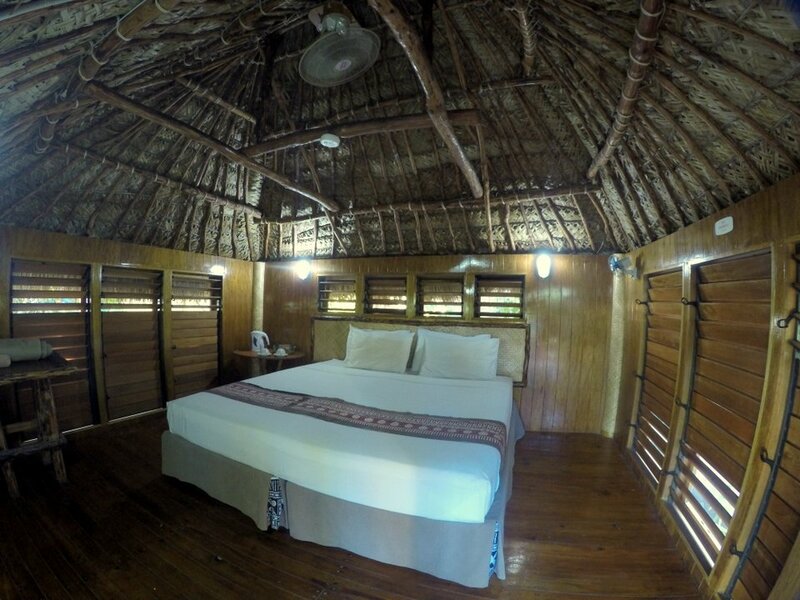 The top rated accommodation, is the "Eco Island Lodge" at FJD$249 a night (max 4 people). "Eco Bure Levu" is FJD$199. Both of these have their own private facilities. 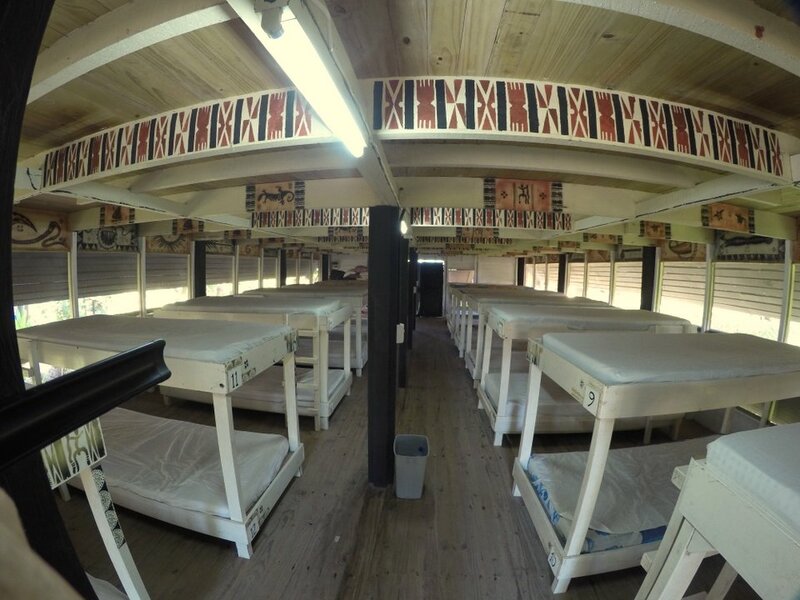 A range of budget accommodation, starting with the "Tribal and Aqua Dorms" for FJD$49pp a night. 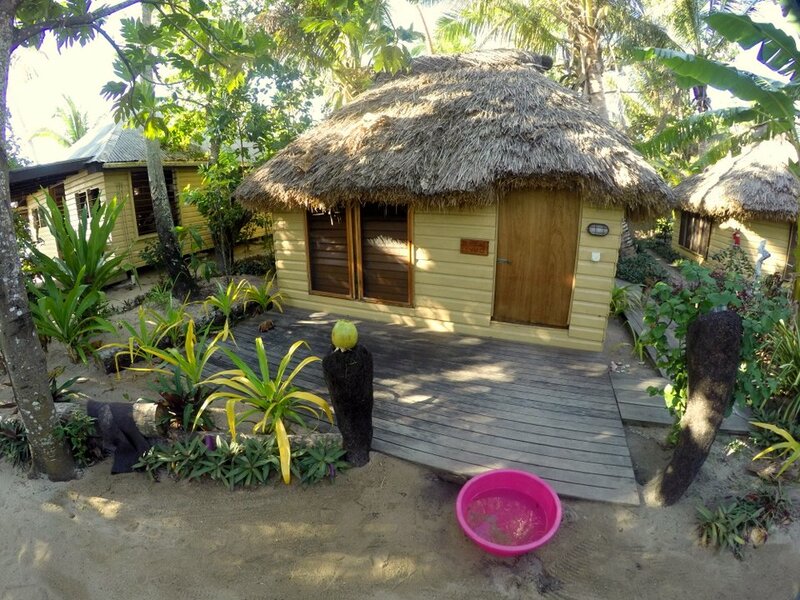 There are some other small bures available, such as the single person "Eco Bure Lailai" which is FJD$79 a night. There are also various package specials running from time to time. Unfortunately Robinson Crusoe's own website doesn't show all the specials, you'll find a list at the bottom of the tours page on this link. Robinson Crusoe does have a compulsory meal plan system. FJD$79 a day for adults (children are half price). The meals are served buffet style. 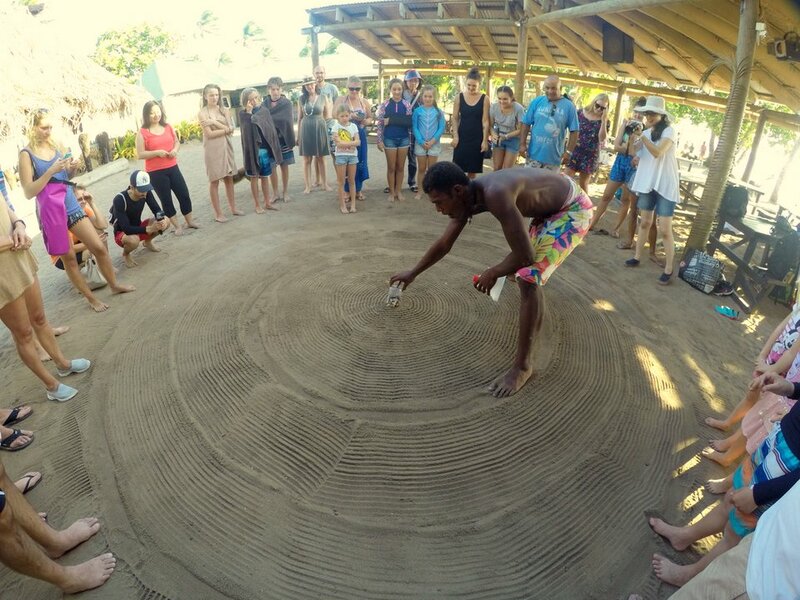 There are plenty of free activities to keep you occupied during your stay. 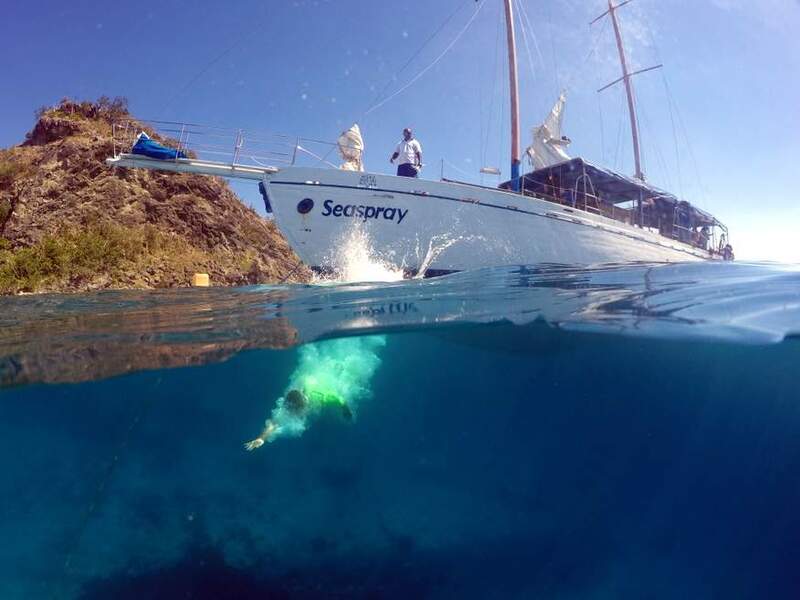 Free snorkelling trips...you travel by boat to open water, so you should be a reasonably confident swimmer (all equipment supplied). 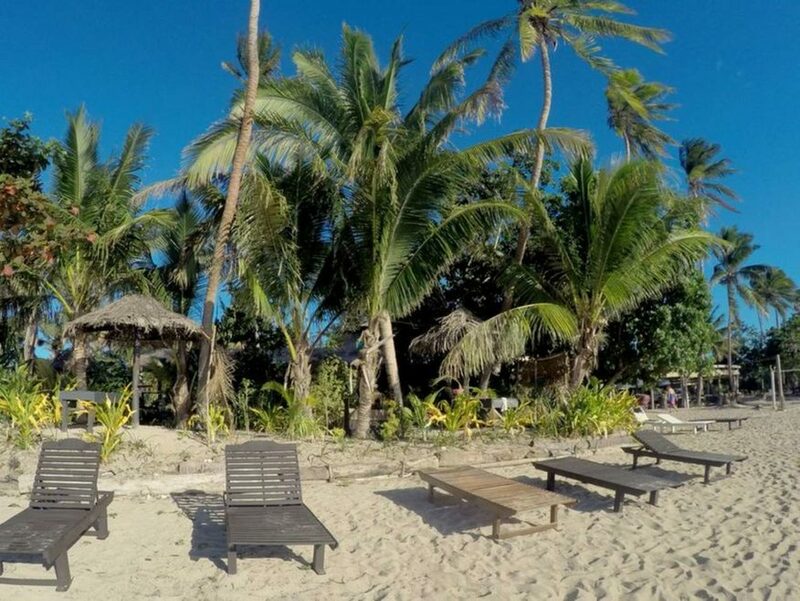 You will find the usual resort activities of things like the crab racing, arts and crafts lessons, and use of the sea kayaks. 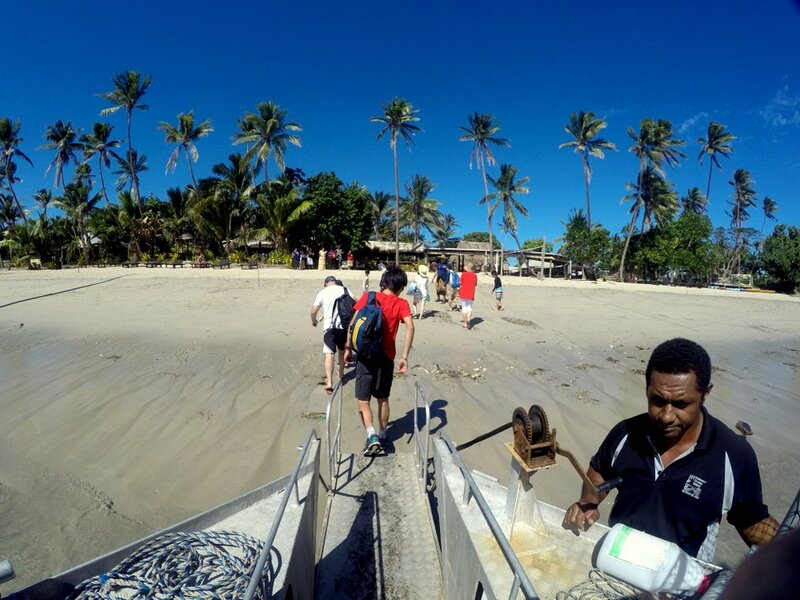 You can go on a guided bush walk to learn about island medicines, or join in with a traditional "fish drive". 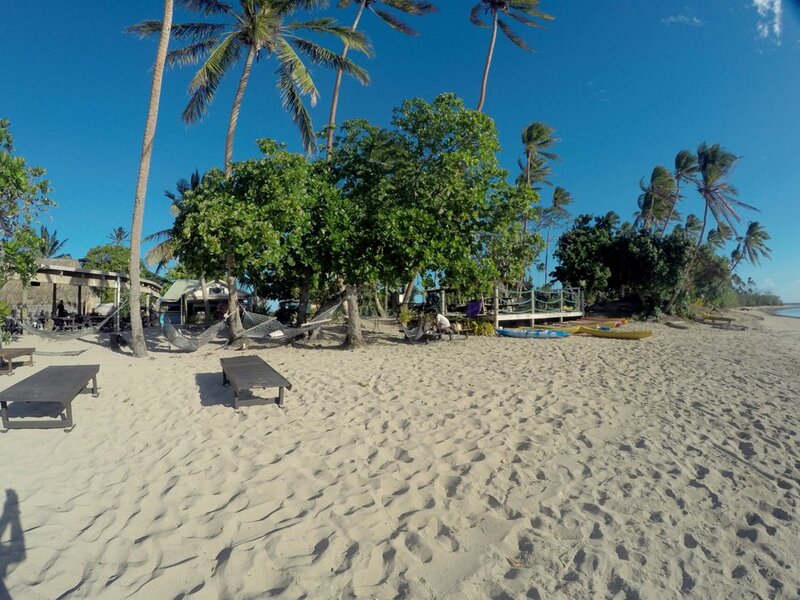 And of course no resort would be complete without beach volleyball! 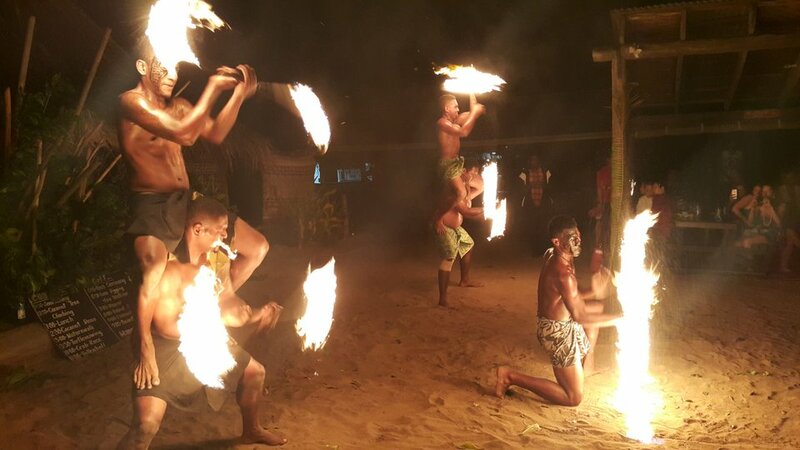 The shows such as fire dancing and knife dance are all free if you're staying on the island, and afterwards you can relax around the midnight beach bonfire and share some drinks and stories with new friends. Fire dancing culture shows are every Monday, Wednesday & Saturday nights. 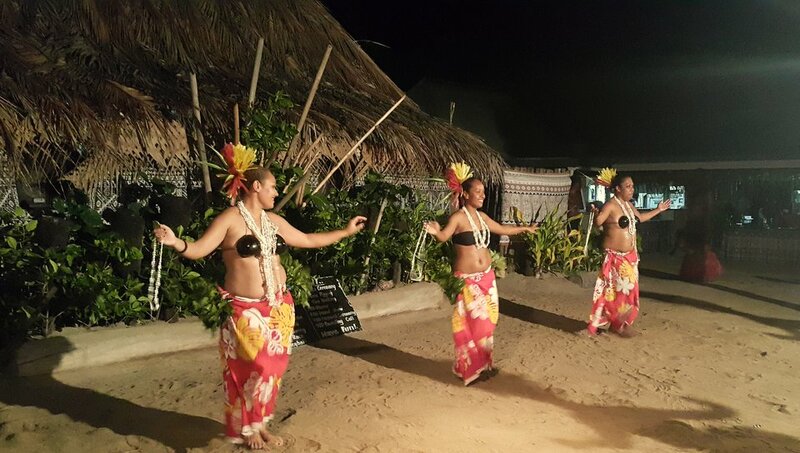 Fijian ladies dancing as part of the culture show. As well as all of the free activities, there is a range of paid options as well. 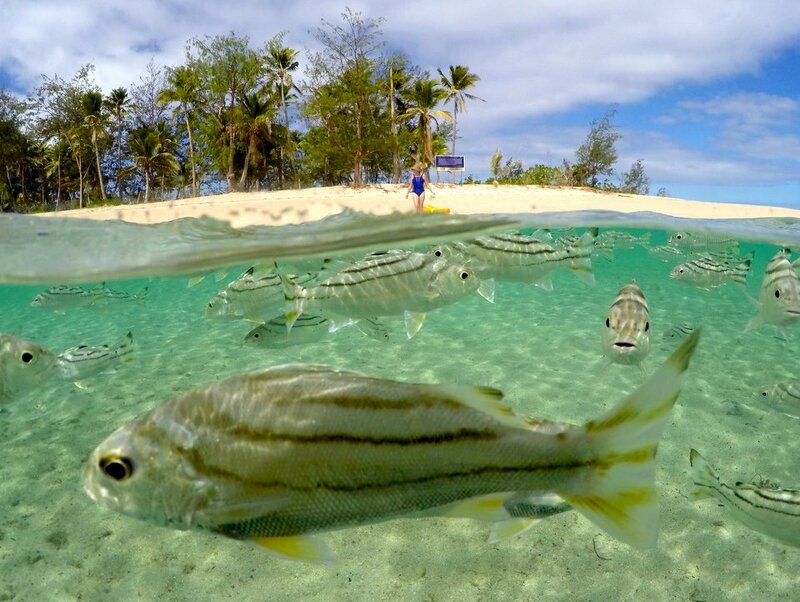 These include guided school and village visits on the mainland, diving, fishing (both open water and river mouth), and massage/beauty treatments. Access is by boat or sea plane only. There is an extra charge for pickup and transport both ways. FJD$99 adult, children half price, and 4 or under free. As this is an island, they generate their own electricity. The generator runs from 7am to midnight. Bring a torch if you want to wander around outside of these times. Compulsory meal plan (3 meals a day) costs FJD$79 a day, so factor that into your budget. There is Wi-FI. You can purchase this for FJD$20 for your entire stay, so it's not expensive, especially for longer stays. Look out for special package deals as these usually include all the extra's and can save you a lot of money. 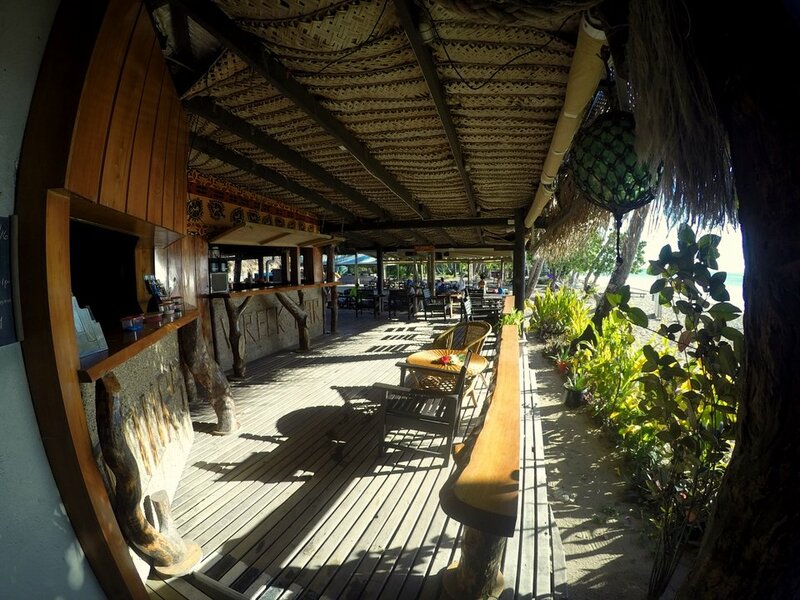 Budget Backpacker Super Hot Deal for 4 includes beers, meals & transfers! 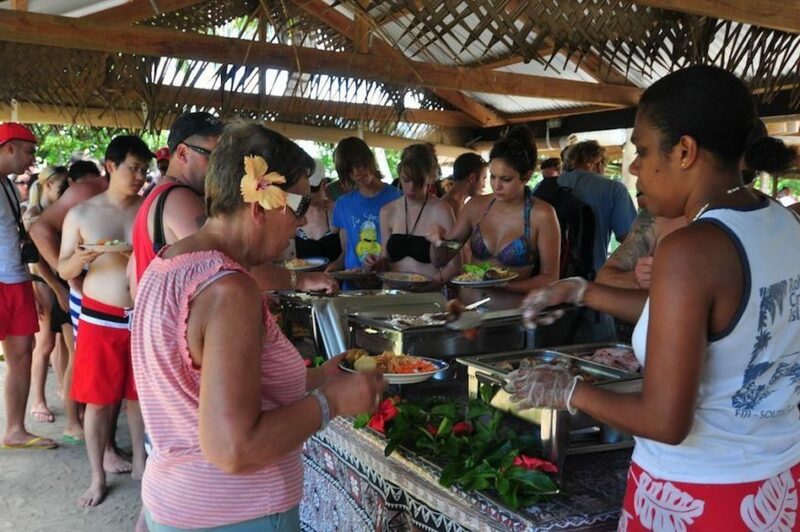 Super deal for 4 people travelling together for 4 nights in dorm or safari tent (for 2) including 3 buffet meals per day, bucket of 4 beers per person, per day, all coach & boat transfers from Nadi or Coral Coast (with pickup/drop off at either end) Crab catching & village tour, fishing trips every day, fire & knife dancing culture show, 15 min massage, free kayaking & snorkelling tour. Over a $1000 FJD value, valid to 31 March 2017. 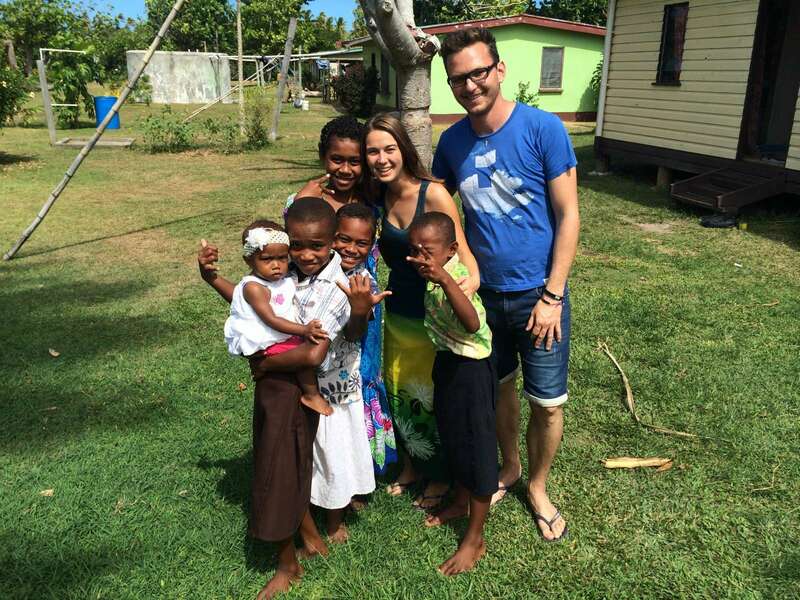 Click here to book this backpacker holiday special.